Negotiating is something we have all been doing since we were toddlers throwing tantrums until we got what we wanted. In your entrepreneurial career, you’ll be involved in many negotiations where you’ll need a better strategy than kicking and screaming. Michael Erdle, a chartered arbitrator, mediator and facilitator for Practical Resolutions Inc. and managing partner at Deeth Williams Wall LLP, spoke at Entrepreneurship 101‘s lecture on the topic of negotiation strategy and conflict resolution, providing useful advice on how to perfect a skill we all use daily. Power: Negotiations that rely on power often involve threats and coercion. This is not a long-term strategy as it has a negative impact on the future of the relationship between parties. 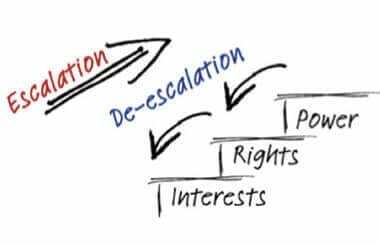 Rights: This type of negotiation is based on contracts and precedent and often leads to legal action, which can be expensive and time consuming. Interest: Interest-based negotiations are what you should strive for. They often involve good communication and collaboration, resulting in win-win situations for both parties. Being prepared when entering into a negotiation will allow you to focus on the issues and common interests of each party, resulting in an interest-based effective negotiation, as well as positive, long-lasting relationships. One important thing to keep in mind is that negotiation is a process, and it is important to communicate throughout this process. Listen and ask questions. The key to a win-win negotiation is to focus not only on content, but also on the relationship between the parties—what Michael calls a collaborative negotiation style. Michael’s talk was filled with resources and specific tips to help you become a more effective negotiator, including information on multiple negotiation situations and how to deal with power ploys. To hear more about effective negotiation strategies, watch the full lecture video.